There is nothing quite as heartwarming as kids making seniors smile. But many senior citizens with limited mobility don’t have the ability to get out and interact with others. Often time they are alone for much of the time and can feel isolated. That’s where programs like Meals on Wheels America make such a difference. They deliver daily hot meals and check on these seniors in their homes allowing them to get the healthy food and social interaction they need. While young kids can’t volunteer to deliver food there is a special act of kindness they can do! 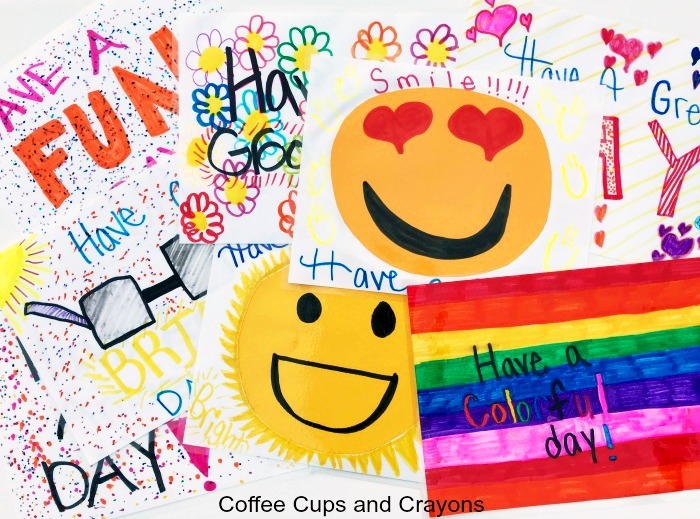 They can create reusable kindness place mats for volunteers to deliver with the food. It really is an awesome act of kindness for seniors! Making kindness place mats for seniors is the Week 1 Kindness Challenge for the 2018 100 Acts of Kindness Project! Receiving a special place mat that they can wipe off and use at each meal is a sweet way for them to know others care. It’s such a simple way kids (and adults!) of any age can make a senior smile. Making place mats for Meals on Wheels to deliver to seniors is super easy to do! 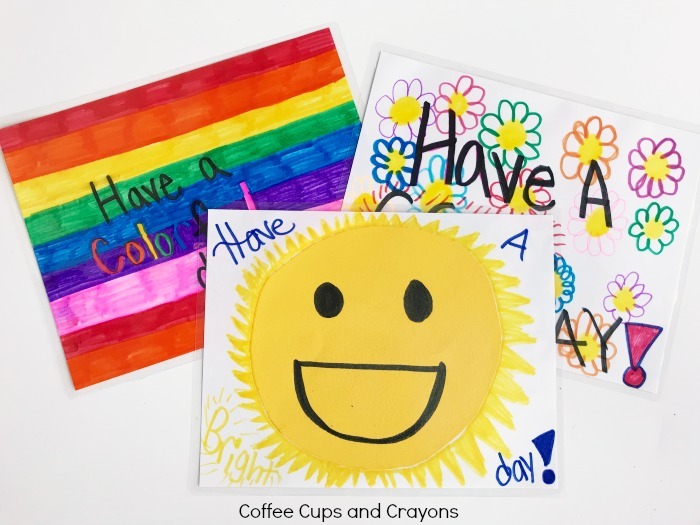 Create a drawing on construction paper or cardstock. You can even add a happy message to your artwork. Let it dry completely if using materials like glue, paint or dot markers. Laminate each place mat so it can be wiped clean and is more durable. Contact your local Meals on Wheels America (or similar charitable organization in your area if not in US) location to drop off or mail in the place mats. Repeat! This is a fun project you can do year round. It can also be a great way to re purpose your children’s artwork into an act of kindness for seniors. 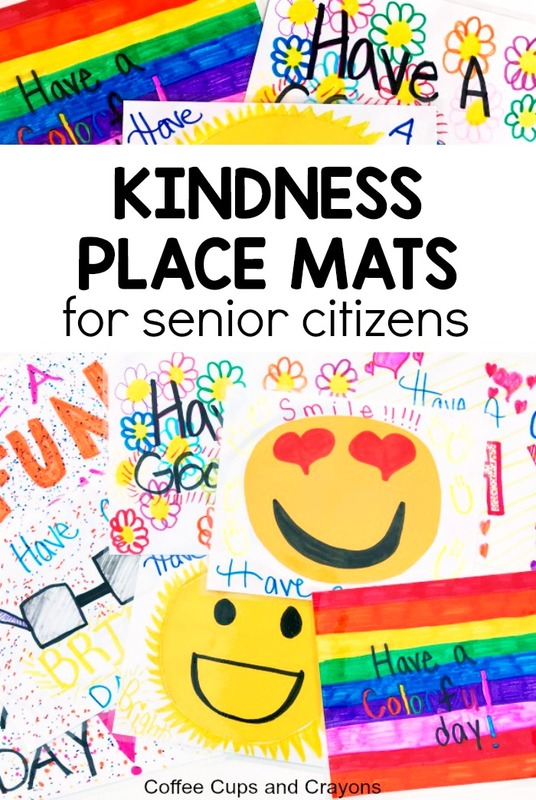 We are kicking off the 100 Acts of Kindness Project this year with this kindness place mat for seniors challenge! Look for a new challenge each week. Have you joined the 100 acts of kindness project? It’s not too late! Kristina from Toddler Approved and I would love to have you join us in doing 100 acts of kindness with your family and class. No act of kindness is too small. In fact we believe that small, intentional acts of kindness can change the world. Here is all the info: Join the 100 Acts of Kindness Project Today!